In the best autumn leaf viewing season, they hold Hirosakijo Kiku to Momiji Matsuri festival (Hirosaki Castle Chrysanthemum and Autumn Foliage Festival) from October 17th to November 9th. You can enjoy viewing chrysanthemum art work exhibition including chrysanthemum figures, which is the largest in the northern Ou region, at Botanical Gardens in Hirosaki Castle which is located inside the Hirosaki Park. The ideal time for visiting Hirosaki Park for autumn leaf viewing is the evening. They provide the special illumination from the sunset to 21:00, which is limited to the autumn leaf viewing season. Although the festival ends in November, the best time for viewing the autumn leaves is up to the end of October. The combination of Hirosaki Castle and autumn leaves provides a breathtaking scenery. The castle is also illuminated during the evening, so this is another autumn leaf viewing spot that we recommend. 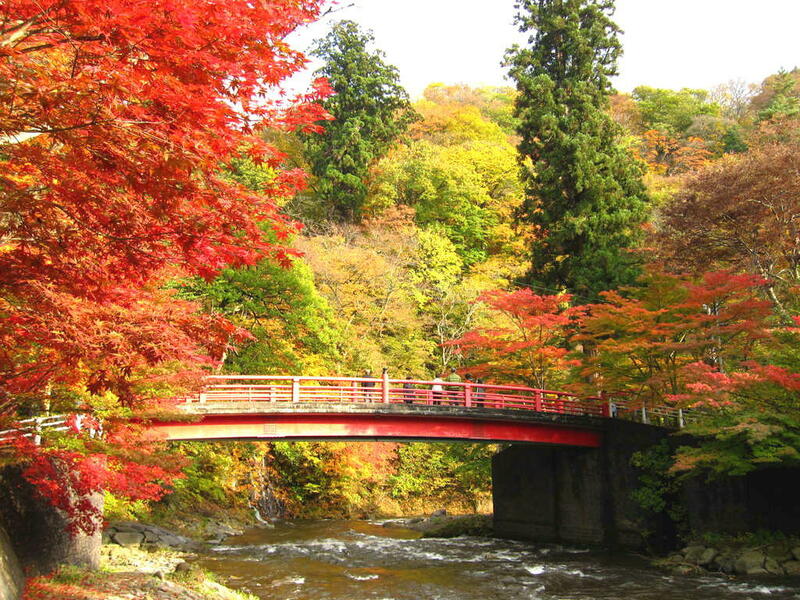 You can view the beautiful landscape decorated with red and yellow autumn leaves from Hakkoda Ropeway. From the end of October to November, you can view the first snow in that area. The vivid contrast between the pure white and the red from autumn leaves create an overwhelmingly beautiful scenery. The maple trees on Nakano Momiji Yama were sent away from Kyoto. You can view the beautiful scenery created by the stream and autumn leaves during the day, and you can enjoy the autumn leaves in illumination in the evening. Our suggestion is to visit there in the evening to enjoy the fantastic view of illuminated autumn leaves. Sukayu Onsen features an enormous communal bath, which is so big that it is sometimes referred to as “Sennin-buro, (a bath for 1000 people)”. There is Jigoku Numa swamp near here, where you can enjoy the thick autumn leaves surrounding the swamp. The reflection of the autumn leaves on the surface of the pond has its own charm and is beautiful. At the Momiji Koen Park in Yamagata prefecture, you can enjoy viewing autumn leaves in indescribably profound colors in the autumn. 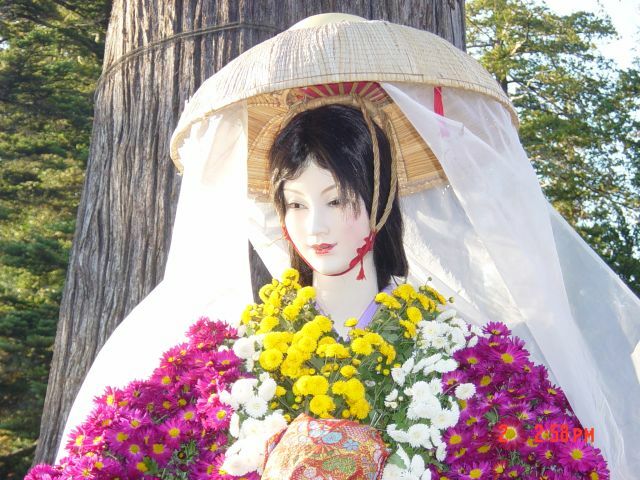 Momiji Koen Park was formerly a garden of a large complex of Shingon sect, Hodoji Temple. In addition to autumn, you can experience the beauty of Japan that change from one season to another in this park. The best autumn leaf viewing time at Momiji Koen Park is between the end of October to the beginning of November. The maple trees surrounding the pond are so splendid. Zao in Yamagata prefecture is famous for skiing and snowboarding, however, it offers great sceneries of beautiful mountains. In addition, Zao is famous for its sceneries with soft rimes, the frost-covered trees, however, the leaves on these trees change their color in the autumn to offer the beautiful autumn leaves so this is another spot you want to visit in the autumn leaf season in addition to winter. There is a tourist attraction in Yamadera in Yamagata prefecture which is famous as a place where the famous haiku poet, Matsuo Basho has composed a haiku poem – Risshoji Temple. When autumn arrives to this temple, the maple trees beautifully change their color to red, and they contribute to create a wonderful scenery with the temple. Why don’t you visit nature-rich Tohoku to experience the autumn?